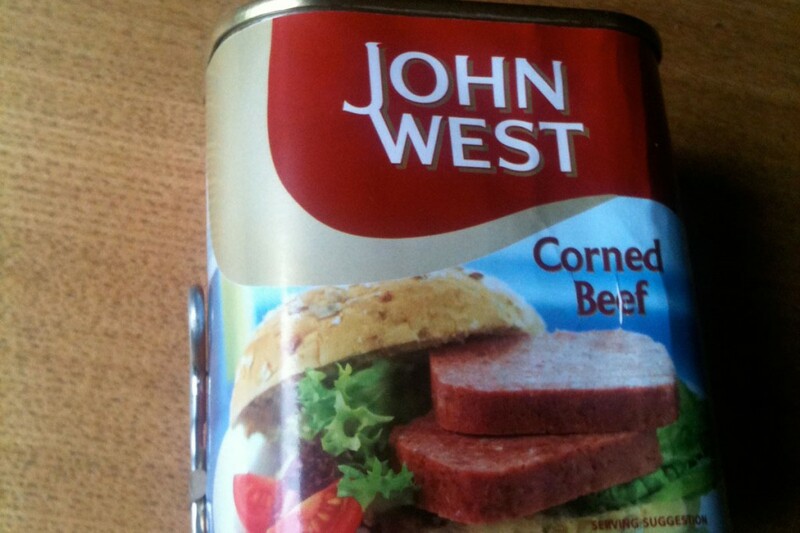 YES, corned beef in tins does still exist. And to prove the point, at a formal ceremony in the Roddy’s attended by a carefully selected coterie of staff and punters, Squinter was presented with this tin of Argentina’s finest, purchased by barman Joe at great expense in a local supermarket. Squinter can’t begin to describe how touched he was, and as he made a tearful speech of thanks, he undertook to put the gift in a special place and preserve it for future generations. Unfortunately, there was a bottle of HP sauce and a Nutty Krust loaf in the house when he got home. So the corned beef is gone, but the tin remains. And the good news is that Squinter suffered no injuries while opening the can with the little key.